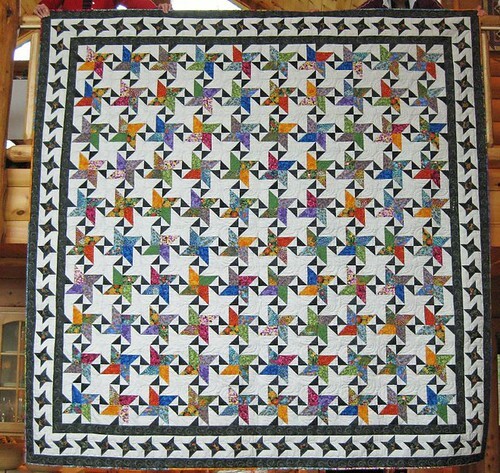 This entry was posted in Quilting, Starstruck. Bookmark the permalink. 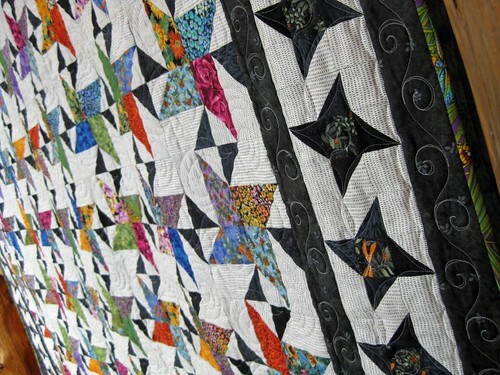 I was looking at Star Struck quilts on google “images” and found yours. Wow! It’s awesome! I really love it. I am making scrappy Star Struck blocks today for a swap with a group on Yahoo. Yours makes me want to make another one using a single background fabric. It’s really nice and the quilting is great too! Enjoy and thanks for sharing it!